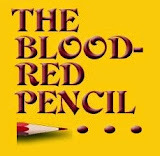 Blood-Red Pencil: It Doesn't Matter Where You Start. Just START! It Doesn't Matter Where You Start. Just START! I do not miss 2018. Yes, we're only eight days into the new year, but as time ticked us toward 2019, I was so ready to give 2018 the boot. Looking back, I want to say that everything that could go wrong, DID go wrong--personally, emotionally, mentally, spiritually, financially ... even literarily. Here at The Blood-Red Pencil, we have articles on writer's block and how to jumpstart your creativity and find inspiration. I've even written a few of them. Yet even having this place of wonderful information didn't keep me from plunging into the darkness of the Creative Void. I started and stopped more projects than I can count. I prayed for inklings of inspiration to initiate writing. I, in a lackluster fashion, played with my photography and doodling and writing dreams in the hopes of lighting a fire under me. I questioned whether creativity still dwelled within me. And then ... two amazing things happened toward the end of 2018 that would lead me to a brighter 2019, a year already full of possibility and ideas that speak to my heart. 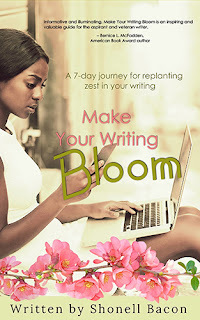 My best friend, author Samara King, reminded me that I had a cover done (which she designed) for a book that needed to be published: my first short work on writing, Make Your Writing Bloom. 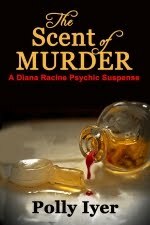 It had been ready to be published, but fear, doubt, worry, and anxiety plagued my spirit. 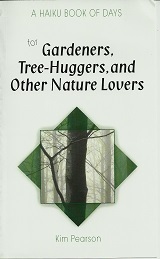 I fought myself hard and released the book in the fall. The emails I've received from those who have bought it, read it, and used it to reclaim the zest in their writing have moved me and strengthened me. Months later, as Thanksgiving rolled around, a dear friend knocked on my Facebook Messenger. She'd been on me to create a class for the book. 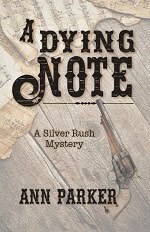 Before the book, she'd been on me to create any kind of writing class. To her, I had decades of skills and knowledge that others would pay for. I didn't believe her. But by Thanksgiving, I was tired of myself and was ready for a positive change, so I told her, "OK, I'm tired of me, so tell me what to do and let's get this started." And now, thanks to Janie Jaramillo-Santoy's push and her mega-talents in drawing out your passion and talents and blending them into something great, my first media-enriched course is coming January 28, 2019! The Make Your Writing Bloom - 8-Week Online Experience is a course directly tied to the book. Every week will be full of lecture, FB live Q&As, assignments, encouragement, and inspiration for those who are looking to connect to their love of writing and creativity and to embark on a road trip to planning and writing their next project. Early-bird special price of $77 is still going until Wednesday, Jan. 9; after the ninth, the price will go to $99. You can learn more about the course and sign up at the course's CLG U page. Let me end with a few words. These changes at the end of 2018 were not easy. I still suffer from doubt, worry, fear, and anxiety EVERY DAY, and I have to fight with myself multiple times a day to dropkick the negatives so that I can be productive toward these (and other) goals. Despite this, there is a growing glow in my spirit that is so excited for what's about to happen and what will continue to happen in 2019 as I take one breath, one step, one action at a time. You can do these, too. 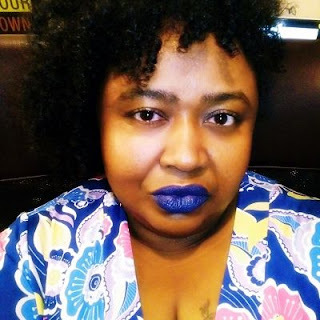 Creative Passionista Shon Bacon is an author, editor, and educator whose biggest joys are writing and helping others develop their craft. She has published both creatively and academically, and she has helped many writers finetune their writing for publication. 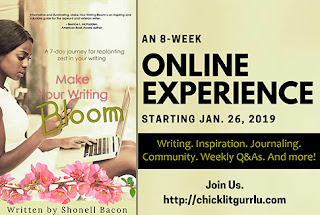 You can learn more about her editing at her website and about her online courses at CLG U. Good luck filling the class, Shon. You are such a great teacher with so much experience and heart to offer. This will be great for a few lucky people! Thanks, Dani! I'm looking forward to the class. Have some students already, so excited to see who else jumps on! I love this post. Thank you for inspiring me today, Shon. I'm sharing this with as many writing friends as I can. Thank you, Pat, from all sides of my heart! 2018 was definitely a weird kind of year, but it looks like you're making 2019 rock! Good luck with the class and the new book, Shon. Congratulations. Would like to hear more about the process of turning your book into classes. I think this would be an interesting post to write for the blog. I have a dear friend who has been my one-woman developing team for helping me see what I wanted to do and materialize it. So glad that the end of 2018 was a definite uptick. Your book and your classes will be beneficial to so many writers. And it's good to see you back posting here at BRP. We've missed your extensive experience. Thank you, Shon, for sharing your tough year and your determination to move forward! Your class sounds a winner! 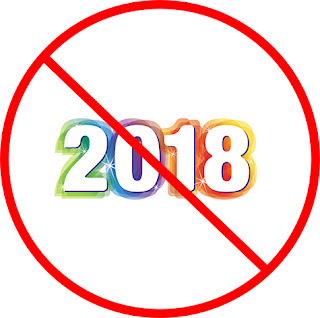 I think many of us have had a bad 2018, certainly for different reasons. I'm glad you found a positive aspect to 2019. Best of luck on your class and your book. 2018 was just weird. Thank you for the luck, and am sending out well wishes for you and your endeavors! It seems 2018 has challenged many of us. I applaud your taking the lessons from your book to a teaching format that offers even more benefits to those who sign up for your classes. Your pricing is another plus; you've made it affordable even to those on tight budgets who need professional guidance to hone their craft and move forward toward realizing their own writing dreams. You're an inspiration to all of us to push ahead toward a more positive new year. One more thing: your regular presence and sharing on BRP has been sorely missed -- welcome home! P.S. 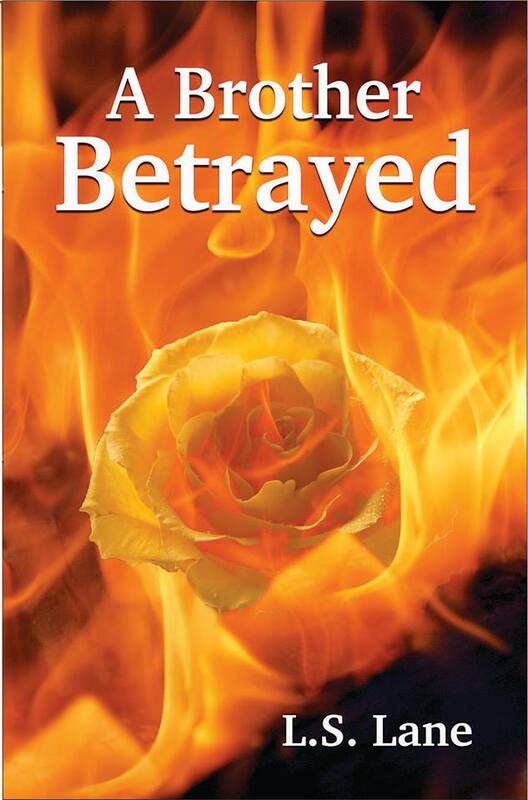 Kudos to Samara King, the creator of your book cover. It's both stunning and inviting.